Looking for a cozy little place to call your own? 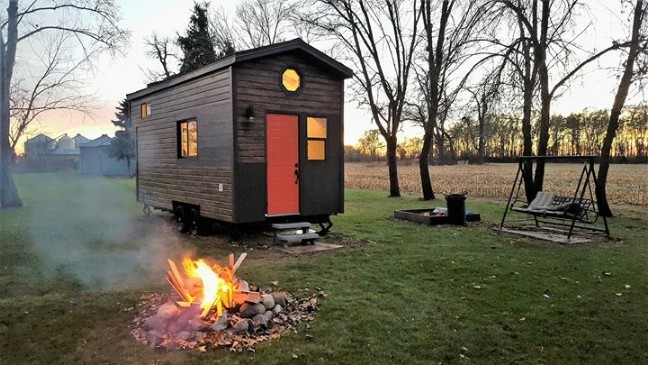 You will love this rustic 260 square foot tiny house which was recently featured on TV and which is now up for sale in Sheldon, ND for just $50,000. 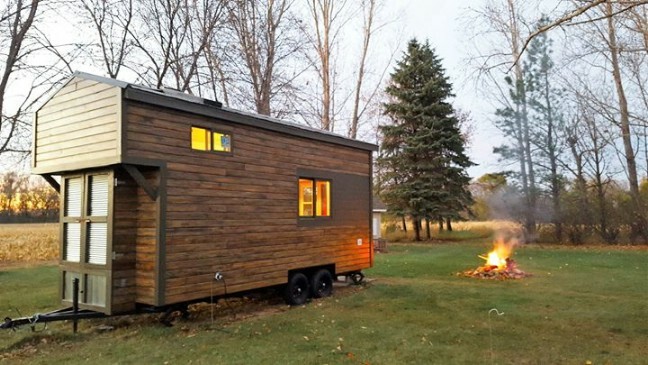 The house was constructed on a custom trailer measuring 8’6″ x 20′. You can see that it features a red door, a cheerful feature which calls out like its bright windows to invite you in out of the cold. The different sizes and shapes of windows lend the house a quirky character. 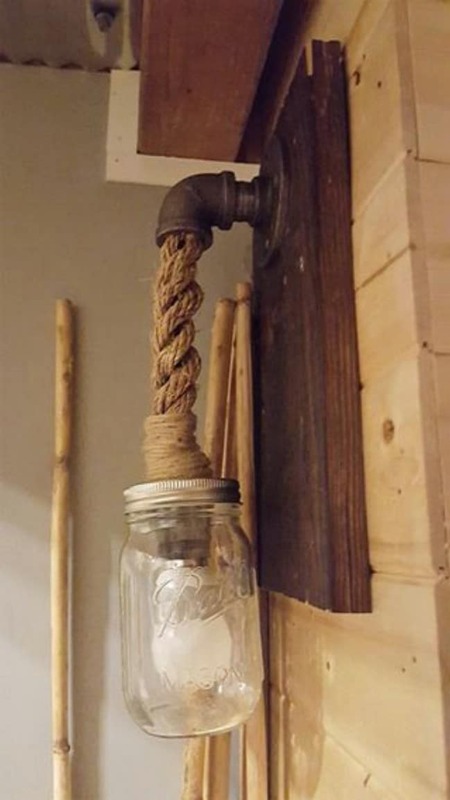 It looks like the house features some extra storage in the back. 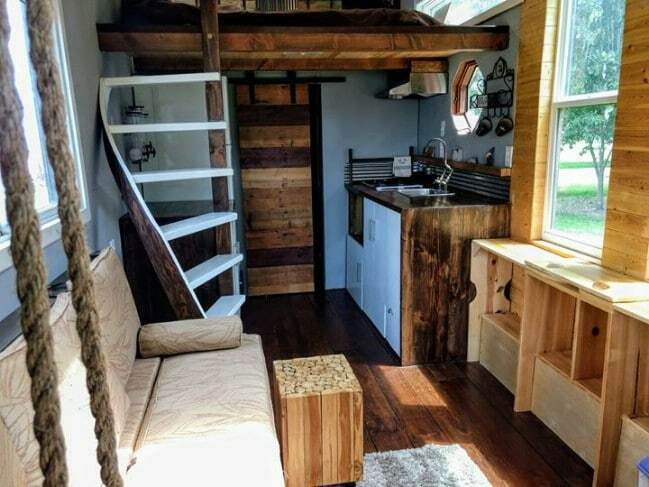 The home has a main loft as well as a smaller loft. 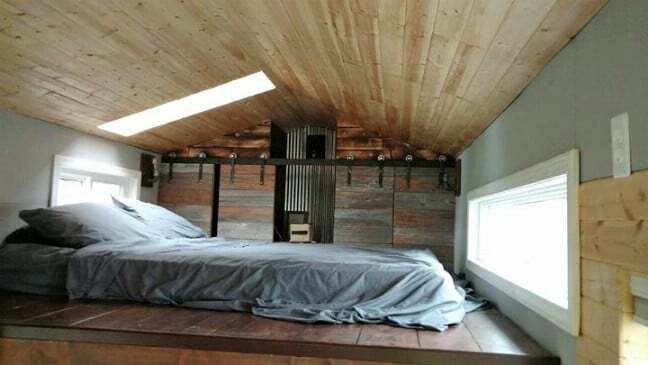 The smaller loft is ideal for storage, while the main loft serves as the bedroom. If desired, the smaller of the lofts does have room for a twin bed. The main loft comes with the queen-size memory foam mattress which you see here. A small curved staircase leads down in a half-spiral from the loft to the kitchen. The flooring is reclaimed wood from a barn. Beautiful wood is featured in the sliding barn door in the back of the kitchen as well as in the furniture here in this main living area. The light blue paint used for the walls and cabinets helps it to stand out even more. There is an apartment-size fridge in the kitchen. 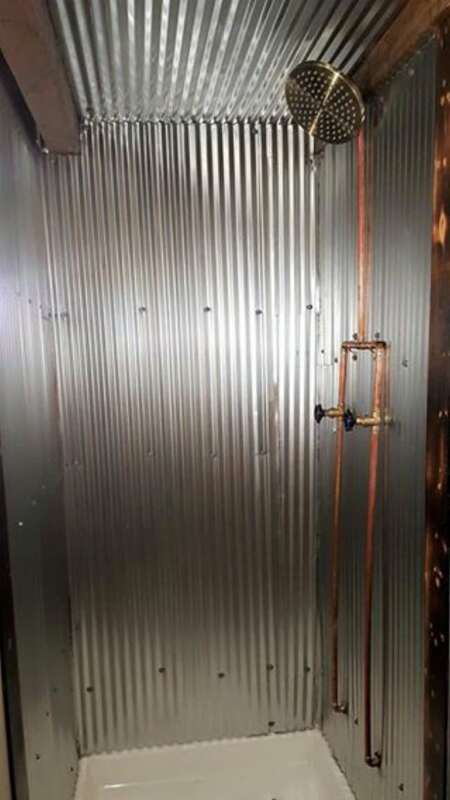 The shower looks like it would be very easy to keep clean and clear of mold. 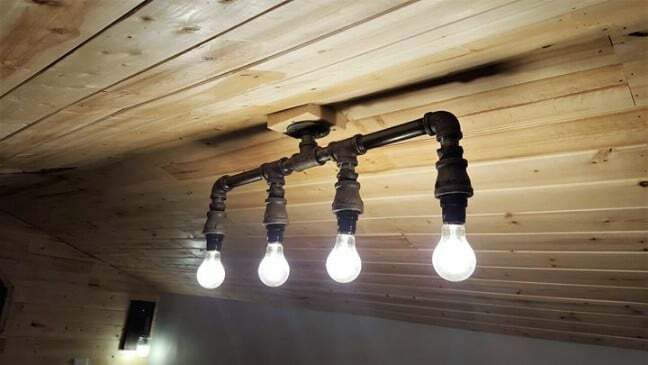 These light fixtures you see are custom-made and are fitting with the rustic theme of the home. The house features LED lights to conserve energy. Want to learn more? 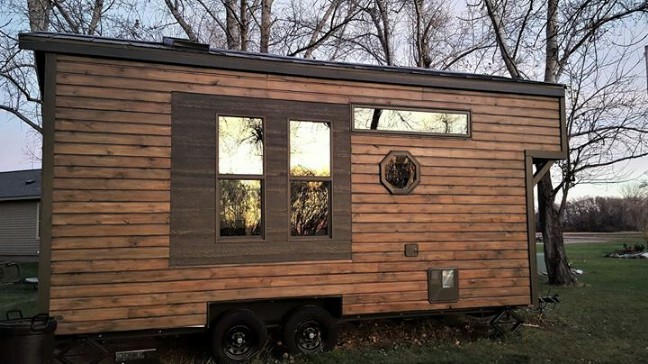 Visit Jared’s post on Tiny House Marketplace for full details. You can also get in touch with him directly there if you are interested in purchasing the home.